Team Johnson: We Miss You Papa and Mimi! 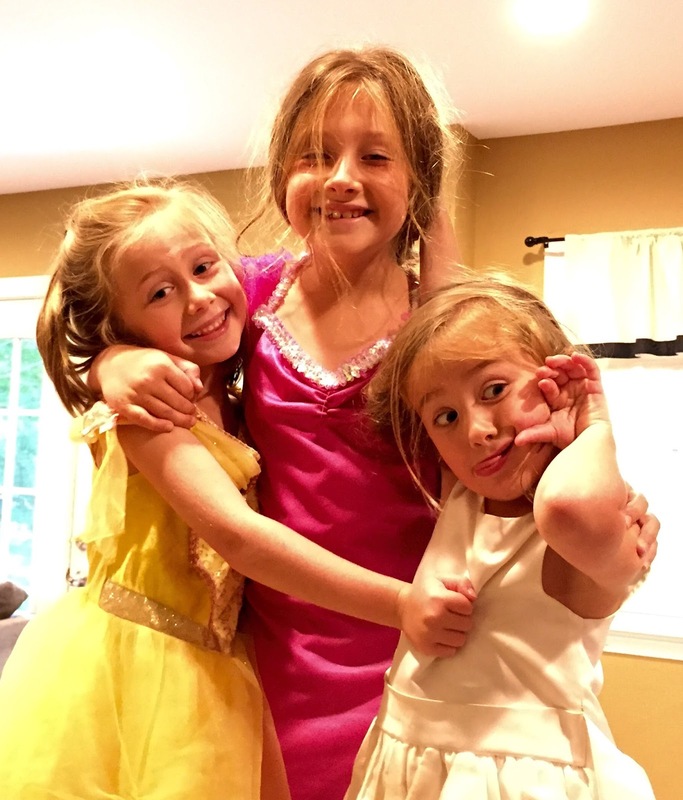 The girls love dressing up and coming up with shows for us- it's very entertaining! Maddie is an Uno shark- she wins almost every game! 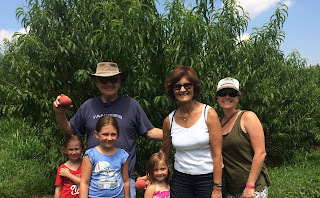 We drove to Great Country Farms for peach picking one day. The girls loved the Ninja Warrior course (pictured behind them). I think Maddie did it 4 times! Yum. We made a delicious dinner with the peaches that night. Here's the recipe.